Art lovers can enjoy an inspiring night’s sleep – by stepping inside a Vincent Van Gogh painting. 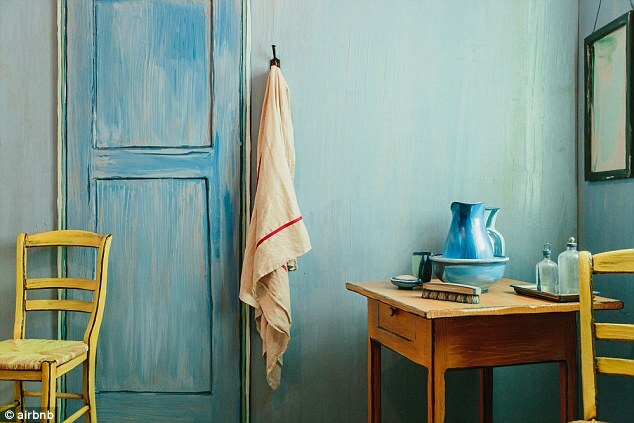 The latest addition to Airbnb was added by The Art Institute of Chicago and has recreated the 1888 Bedroom in Arles painting in every detail – including the bedside blue jug and the positioning of the chairs. 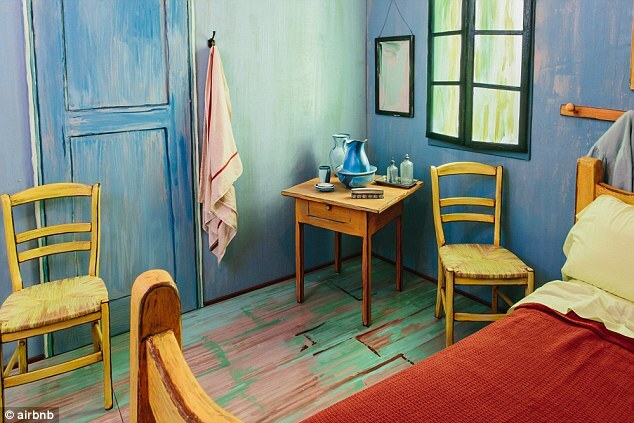 Bringing the famous artwork to life, the vibrant bedroom is advertised online for just $10 (£6.80) a night for two people. 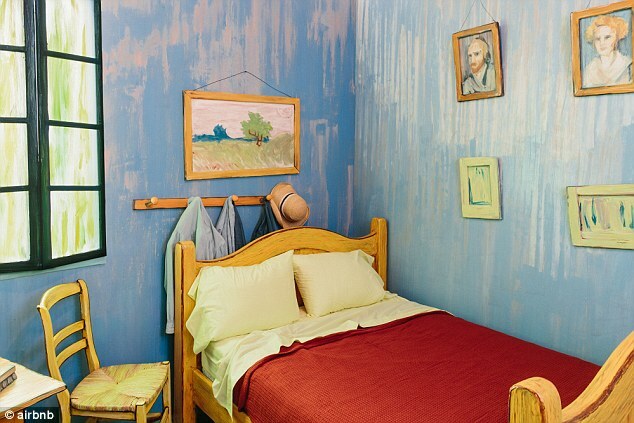 The room features the recognisable wooden-framed double bed with its classic red blanket, as well as two simple wooden chairs, a bedside table, a framed picture and a peg rail. 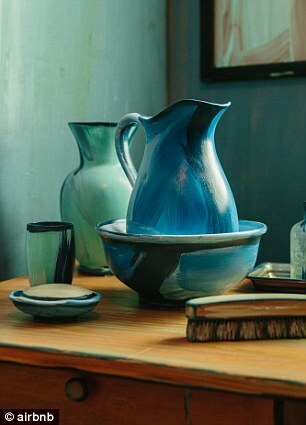 Accessories including a towel, a blue jug and glasses are also showcased in the room, which will literally make you feel like you’re living in a masterpiece. 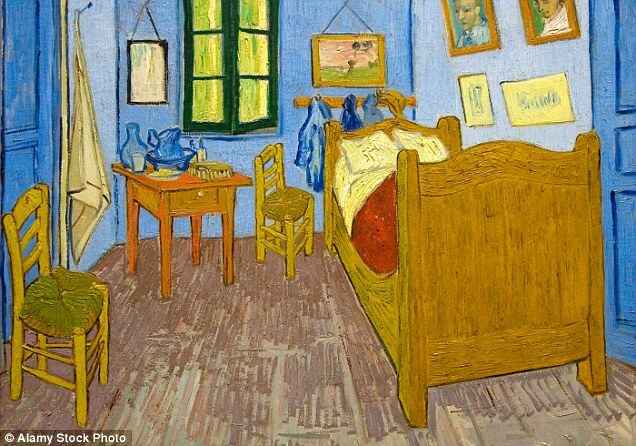 The rental was created to promote the Institute’s new exhibition, which focuses on Van Gogh’s bedroom in Arles series. The room, which sits in a building off of the museum’s campus in Chicago’s River North neighbourhood, is part of a larger apartment and comes with free Wi-Fi, and a kitchen. The Institute also includes free tickets to the exhibition with the room. 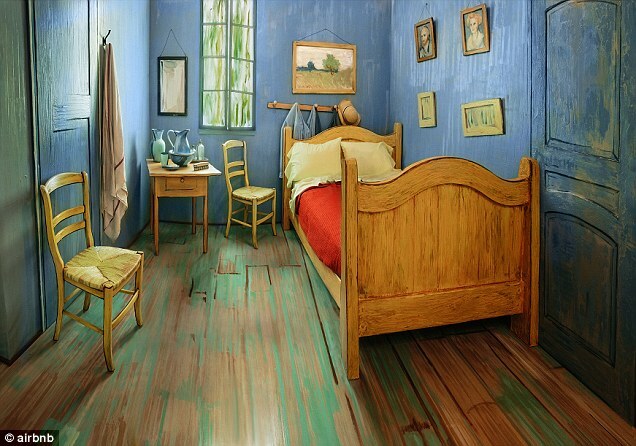 The advertisement, which is written by ‘Vincent Van Gogh’ states: ‘This room will make you feel like you’re living in a painting. 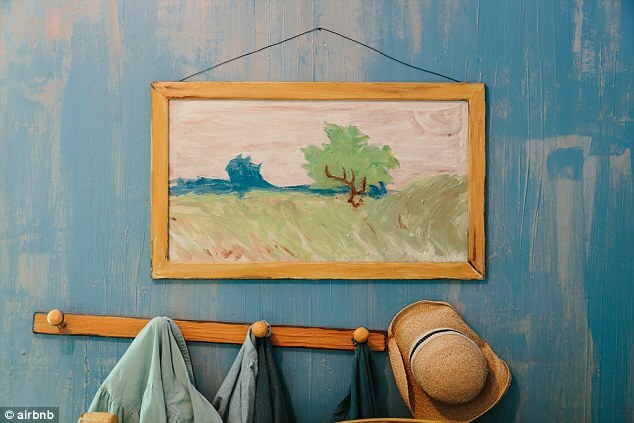 It’s decorated in a Post-Impressionist style, reminiscent of Southern France and times gone by. 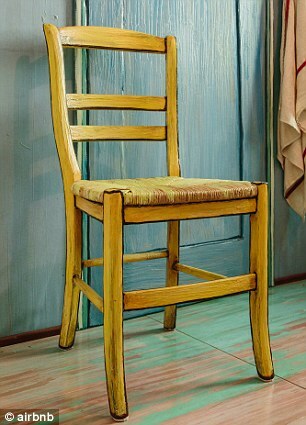 ‘Its furniture, bright colours, and artwork will give you the experience of a lifetime.